What is Social Commerce and why are we investing $1,5 Million to bring it to Small Business. PromoRepublic has great news, and we want to share it with you right away! We have become the World’s First Social Commerce Platform for Small Business. What this means is that we will help you maintain a presence on social media and build communities for your brand. We will also help you sell your products and services in a smart, automated way. We have raised $1.5 million, and we plan to invest these funds in improving and helping launch your products which will help Small Businesses drive more sales from Social. 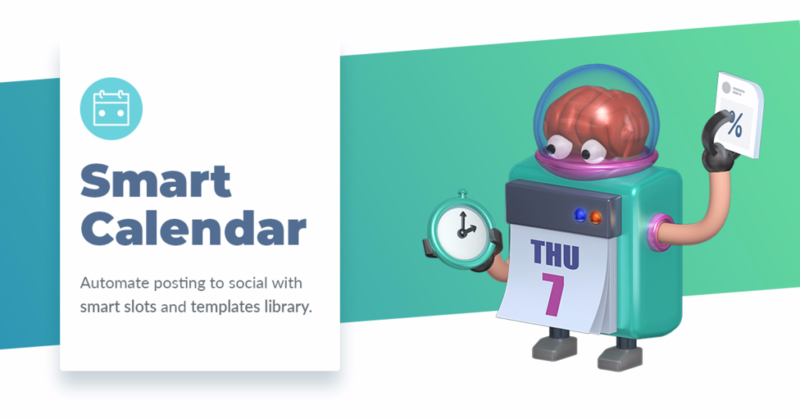 We have turbo boosted your favorite Smart Calendar with an Autopilot feature, AND you now get access to our NEW product: Social Monitoring! Last but not least – we are announcing the first version of Intelligent Ads that will be rolled out in the Fall. Why we believe in Social Commerce so much? Social Commerce has become mainstream. Facebook, Instagram and Pinterest introduced Shoppable features across their platforms. If you want to achieve sustainable and incremental business results (and I know you do), not only do you need to attract future customers, but you also need to provide them with relevant promotional content on Social to motivate them for repeat purchases and seasonal promo’s. Social Commerce is when you start attributing your ROI, essentially your sales to social which is done by tracking links and asking your customers how they found you, for ex., using unique telephone numbers on your social profiles. Some may say that Social Commerce is when you post Social content on your website (UGC content), setup your shop on a Facebook tab or list your items for sale on Instagram. We have asked Gary Vaynerchuk, what he thinks of social commerce. And he says, it’s awesome! How PromoRepublic product updates will affect your business in a positive way? Imagine you’re an online retail business owner – the most important objective for you is to sell more products and increase awareness of your brand. To achieve this, your product visuals must be appealing, your website should be both attractive and easy to use, your customer support needs to be accessible and courteous, and your stock must always be available. It’s understanding if you feel overwhelmed when it comes to Social, i.e. building your visibility and brand on social, answering product reviews and learning about online advertising. But at the end of the day, you still need to attract new visitors to your online shop. This is where PromoRepublic comes in. Our products save time when it comes to creating qualitative content on social and promoting it to get even more clients to your online shop. 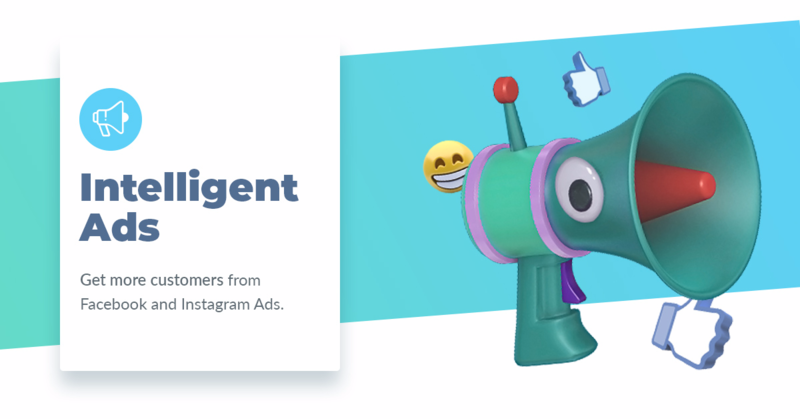 And specifically for E-commerce shop owners, we’ve developed Intelligent Ads that shows you the ROI and ROAS of your product ads on Facebook and Instagram. 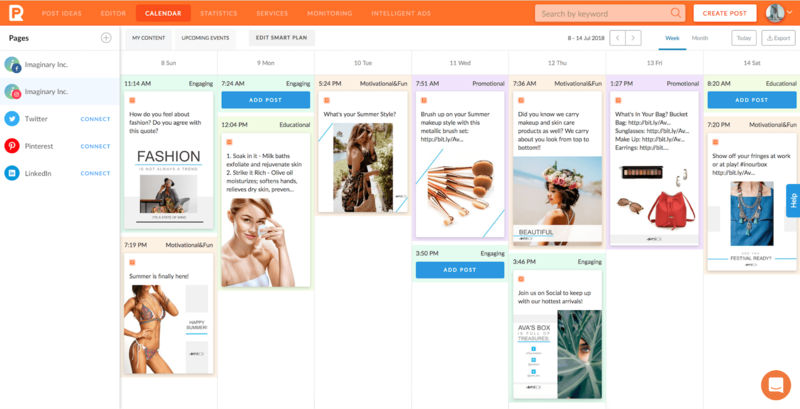 Smart Calendar has already saved a lot of time and resources for tens of thousands of PromoRepublic users, and has become an everyday tool for social media professionals. You can choose between Autopilot which saves you time, or Manual modes where you have full control of your content plan. To provide you with the best recommendation for your content plan, the Content Intelligence system analyzes your business according to its type, along with your company’s Facebook, Instagram, Twitter, and LinkedIn pages and the activity of your followers. All weekly calendars are verified by our content quality team in order to make sure that they really coincide with the interests of your followers and industry specifics. 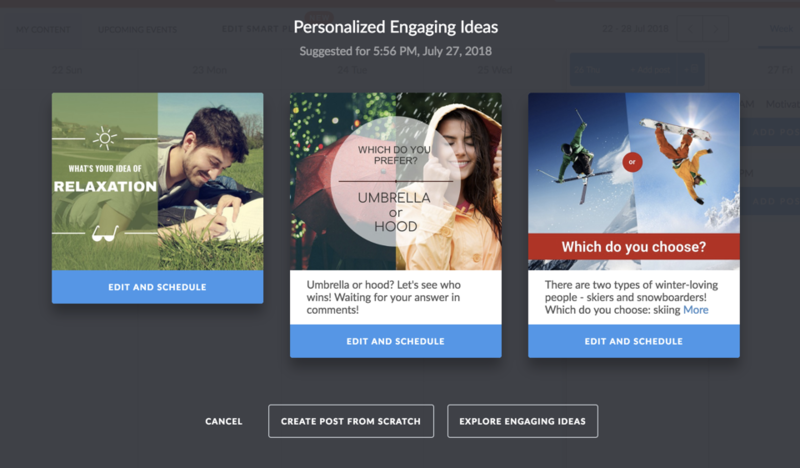 PromoRepublic AI Enabled Content Intelligence engine is trained by analyzing the effectiveness of over 3,000,000 posts, so it can easily make increasingly personalized and effective recommendations for your content. Posting impressive content is a great start, however you can not build your brand community on social without engaging with your followers. Why is that? Imagine a scenario where an angry customer has posted unfavorable feedback, and you are not aware of it. New negative comments are appearing and as a result the number of shares and angry emojis is increasing. The situation is heating up ?and you don’t even know about it. When you finally see the post, it will obviously be too late to fix your reputation. However if you had viewed the post from the one dissatisfied customer, you could have resolved the issue before the social media mess debacle. Or, imagine the opposite situation. Someone has posted a favorable review about your brand or product/service. You can immediately see it in PromoRepublic Social Monitoring feed, and respond promptly with a sincere thank you. This takes ten seconds of your time, but will definitely be a very important moment for your customer. This is how you build your social capital and loyalty. In both situations, PromoRepublic’s Social Monitoring will help you. 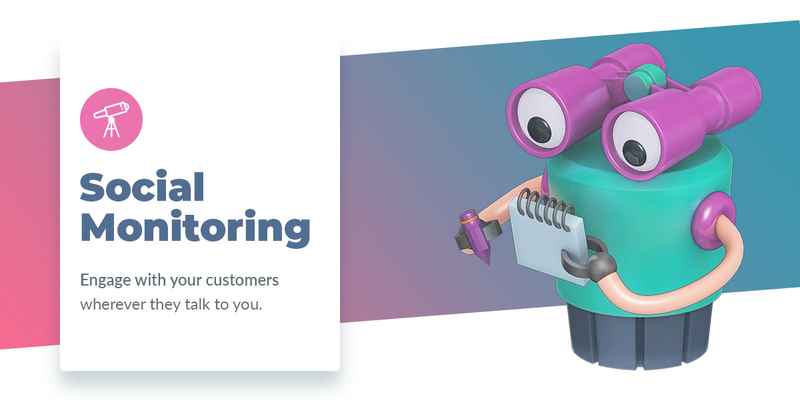 The product will automatically track all mentions of your brand/product and inform you when you should respond to customer’s questions, offer them a product they are looking for, or just thank them for their loyalty and positive feedback. This is how easy building brand community begins! Why do you need Facebook Paid Ads if you are a small business? Without paid advertising, your Facebook posts won’t be visible even to your subscribers. It’s unfortunate, but that’s the reality. Once you start using Facebook ads, a lot of opportunities pop up. Have you ever tried to manually set up an advertising campaign on Facebook? The amount of fields and windows you have to fill in can drive anyone crazy! And when you successfully master the interface and publish your ad, it often turns out that the system doesn’t provide you with the best efficiency and results because of the wrong settings, lack of experience and lack of tests. We know your time is limited and you need sales. For that reason, very soon your advertising campaigns can be launched directly from PromoRepublic with several clicks. Just tell us a bit about the audience you want to reach and what’s your budget, and the system will pick the best creative for the ad, text and ad format. Sounds like magic, right? Partially it is! With Intelligent Ads we want to be sure that every dollar you spend on advertising will bring you the desired results. At PromoRepublic, we understand that as a busy business owner you don’t want to spend time on execution, so we’ve come up with a solution for you called Full Service! It’s when WE manage all our products for you, and it starts only at $199/month! “I know social is important, but I don’t have time to do it”. We feel you, and we have a solution. For all those busy-busy bees, who’re busy making money and have no time to set up posting and launching ads on social, we’ve created a Full Service – a dedicated social media manager that understands your niche and will make the most out of social. Full Service gives you the value of hiring a $60,000/year social media expert, but instead it starts at $199/month + advertising budget. 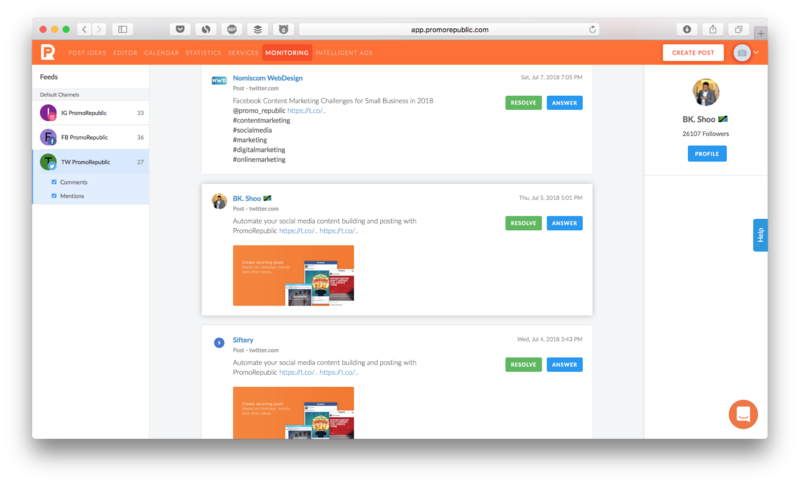 The dedicated professionals will create and publish posts, send you performance reports, mentions of your brand and products and moreover will setup advertising campaigns for you. All you will have to do is spend 15 minutes a month to approve a content plan and advertising campaigns that we have created. 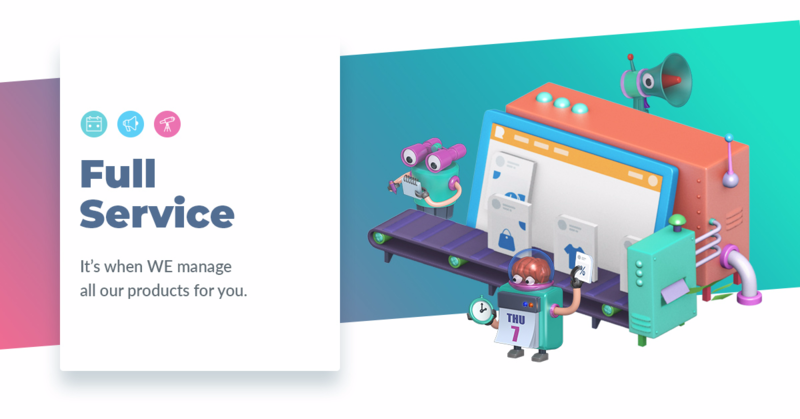 For those of you working in retail Ecommerce we automatically help to increase ROAS (Return On Ad Spend) so that you can measure the effectiveness of advertising by sales and conversions, and not just by clicks and views. Hope you are excited to discover all these features!